Until recently, bleached brows were a no-no in the beauty department, unless you are a runway model, in which case it is considered the norm. However now they seem to be the in-thing amongst a growing number of celebrities, including Kendall Jenner and Lady Gaga. Bleached brows are most certainly a bold statement, and the look takes a lot to pull off without appearing slightly odd. Let’s take a look at some of the celebrities that have dared to step out into the beauty unknown. You’d have to be someone special to get away with this look, and Katie Perry certainly makes it work. Katie’s bleached eyebrows enhance her blue eyes, allowing them to sparkle even more. This time, it’s not a meat dress that provokes a jaw-dropping response from the audience – its bleached-out brows. Lady Gaga has taken up this rising trend, amazing onlookers wherever she goes. NYFW’s Givenchy show presented the stunning Kendall Jenner spotting the trending lightened eyebrow look on the runway. This young lady knows how to make a statement. Kelly Osborne was one of the first celebrities to take the ultra-light eyebrow challenge last summer. Miss Osborne went all-in, with this awesome lilac hue to boot. Miley Cyrus doesn’t appear to hold back when it comes to taking risks, and her eyebrows are no exception. However, the risk paid off as she rocks the bleached-out look. 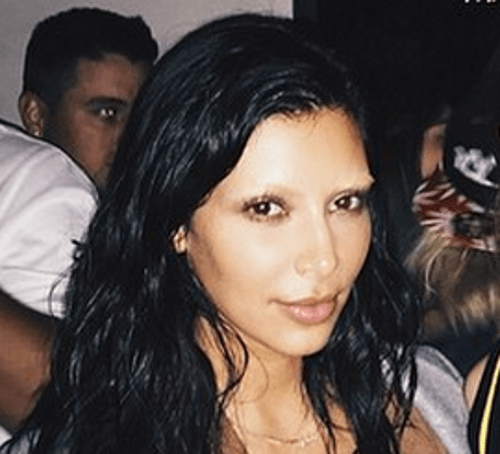 Although Kim stated her invisible eyebrows were purely for a fashion shoot, we think (as per) she looks incredible.